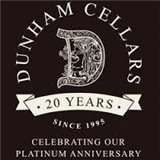 Dunham Cellars Lewis Estate Cabernet. "Tasty and toasty, young and compact, this is a wine to cellar for a few more years at least. The bright fruit flavors run from berry to Bing cherry, not as dark as in some years, but vibrant and crisp. The new oak is not yet fully integrated, so give it some extra bottle age for optimal enjoyment. Cellar Selection." - P.G. "The 2008 Cabernet Sauvignon Lewis Vineyard displays notes of mineral, balsamic, violets and assorted black fruits. Made in a racy, elegant style, in the glass it reveals excellent balance, good depth, and concentrated succulent flavors. Give it 2-3 years of cellaring and drink it from 2013-2023." - J.M. "Firm, focused and refined, offering a lovely beam of plum and currant fruit that pushes through a layer of fine tannins and lingers easily on the expressive finish. Best through 2018. 486 cases made." H.S.